Kangana Ranaut assures “Manikarnika” producer Kamal Jain is fine. 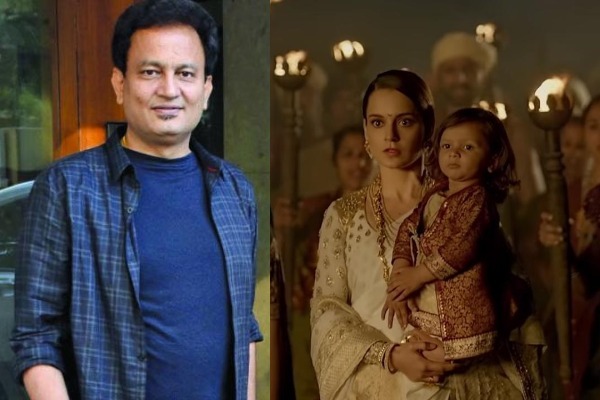 One of the producers of Kangana Ranaut’s upcoming film ‘Manikarnika: The Queen of Jhansi’, Kamal Jain, was taken to Kokilaben Hospital on Saturday evening. Earlier reports had stated that Kamal was in a critical condition after suffering a paralytic stroke. Now, the latest reports have emerged that he has been hospitalised due to throat and lung infection. Kangana herself have dismissed the reports that Kamal has suffered a paralytic stroke, saying he is “fine” and on “road to recovery”. “He is doing fine. The reports are misleading. He fell sick last week and is on his way to recovery. I am in touch with him everyday. Request everyone to please stop backing sensational reports,” Kangana said in a message to Times Now. He is suffering from lung infection. It started as a throat infection but since he was busy with the film he didn’t pay attention to it and it spread. But he’s doing better now. He should be discharged from the hospital within three-four days. Paralytic stroke was a rumour, it’s nothing like it,” told the official sources. The upcoming flick ‘Manikarnika’ has been embroiled with a number of controversies before it’s big release. Recently, the Karni Sena protested against the film, alleging that the period drama “alludes to Rani Laxmibai’s relationship with a British officer”. The reports also said Karni Sena opposed the film for showing queen Laxmibai dancing, saying it is against tradition. They asked the makers of the film to show them the movie before theatrical release. The epic periodic drama is a biopic of Maratha warrior Rani Laxmibai . ‘Manikarnika: The Queen of Jhansi’ also starring Ankita Lokhande, Atul Kulkarni, Vaibhav Tatwawaadi, Danny Denzongpa, Suresh Oberoi and Jisshu Sengupta is slated to hit the theatres on January 25.